Classic T-bar design ideal for high in-step. 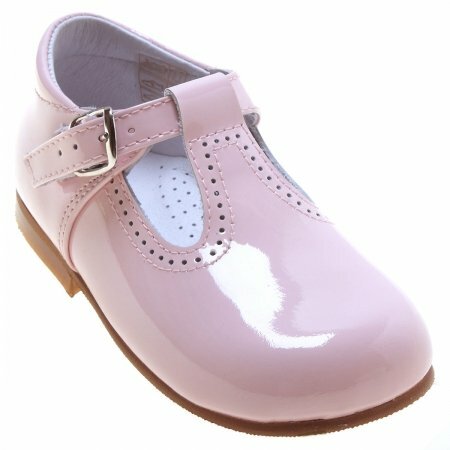 Spanish girls shoes are renounced for selecting comfortable designs and materials which are light and nature to care for your baby girl's feet. Sizes are in European Continental (& UK baby shoes) sizes. Please see sizing guide under quick help on the left panel for help in converting to American shoe sizes.